"My dear friend, your son, David W. Hutchison, was shot in engagement with the enemy this morning. We buried him properly. This Bible is the only valuable we could save. The battle is still raging and I cannot give further word now. Yours truly, Isaac R. Hendershot, Ord. Ohio Co. 122, O.V.I." The letter to the mother of Hutchison, a Union soldier, dated June 3, 1864, notified her of her son's death while he was engaged in battle. The "battle" Hendershot refers to is the Civil War. Hutchison was the son of Nathan and Mary Hutchison of Adams Township, and a member of the Cold Harbor, Virginia 122nd Regiment, Ohio Volunteer Infantry. The original letter and photo of Hutchison was found in a family Bible now in the possession of Jim Mehaffey, Hutchison's great-nephew. Mehaffey resides in the same Adams Township home where he, his siblings and his father were born. His parents are the late Mary and Walter Mehaffey. Jim believes Hutchison is a paternal ancestor. Mehaffey said he is pretty sure that Hutchison was related to his father's side of the family. He was curious about the photo and letter and wanted to know where Hutchison was laid to rest. He contacted Attorney Andrew Warhola, president of the Civil War Roundtable, and asked him to help research his family connection to the Hutchison family. Warhola discovered Hutchison was most likely a private who died during the battle at Cold Harbor, just north of Richmond, Va., one of the deadliest and final battles led by Gen. Ulysses S. Grant during the 1864 Overland Campaign. It was the Grant's first campaign since his appointment by President Abraham Lincoln to serve as the leader of all Union troops. It was also the first time Grant and Gen. Robert E. Lee faced each other in battle. The battle line was six miles long during the full frontal assault which either killed or wounded approximately 7,000 Union soldiers. In his memoirs, Grant said, "I have always regretted that the last assault at Cold Harbor was ever made ... At Cold Harbor no advantage whatever was gained to compensate for the heavy loss we sustained."  Warhola said Pvt. Hutchison is buried in a church cemetery in Lebanon, about six miles west of Cambridge. He was 24 years, seven months and 28 days old at the time of his demise. This is one of many stories that could be buried in other family Bibles or stored in a box in someone's attic. 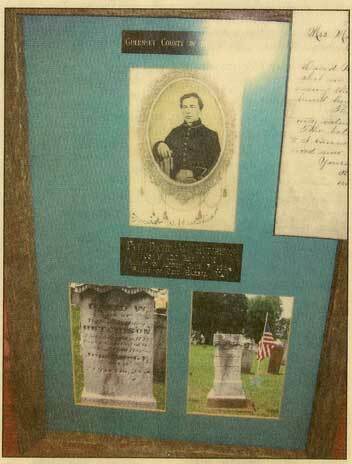 Artifacts, such as Mr. Mehaffey's photo and letter, personalize the tragedy of the war. Civil War Roundtable members are ready to use their expertise and research pertaining to the Civil War to promote the commemoration of the 150th anniversary of the Civil War. Anyone interested in learning more about the Civil War, is welcome to attend the Civil War Roundtable sessions. The group meets at 9 a.m., the fourth Saturday of the month at Ninth Street United Methodist Church, corner of Ninth Street and Steubenville Avenue. Visitors are always welcome. If anyone has any Civil War-era memorabilia (1861-1865): Photos, clothing, letters, or weapons, etc., anything they would like to know more about, and to share their story, contact Warhola at 439-7711.
by Adams Township resident, James Mehaffey. 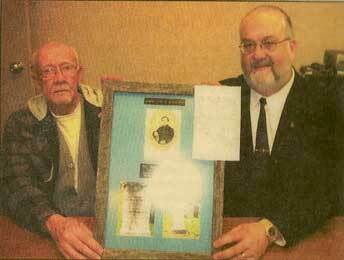 Jim Mehaffey, l, holds a frame displaying an original photo of his great-uncle, Union soldier Pvt. David Hutchison, and a letter to his mother notifying her that Hutchison was a casualty of the Civil War. Attorney Andrew Warhola, president of the Civil War Roundtable, helped research Mehaffey's connection to Hutchison.